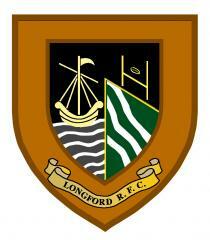 Longford Senior Men’s Late XV got back to winning ways yesterday with a hard fought victory versus DLSP. This leaves them still in with a chance of finishing second and securing a chance of promotion via a play off. Their next two matches are tough ones versus Tullow and Suttonian’s. However, if they manage to get some good result’s, they will be well in the shake up going into their final match versus North Kildare. All attention now moves to the Provincial Towns Cup First Round versus Cill Dara on Sunday. A separate preview of which is available. The Early XV went down to a narrow win and now begin their build up to their first round cup match on February 10th, with a match versus Tullow the week before. Sunday January 20th Provincial Towns Cup 1st Round Cill Dara (Home). Sunday February 10th Provincial Towns Cup 2nd Round (TBC). Kick offs are 13:00/14:30 in January. Longford Women travelled to Greystones for a tough match with a squad missing a few key players. They put in a great second half performance but unfortunately did not record a win. A match report will be published tomorrow. U16 v R&B Rebels (Home). U14 Girls v Edenderry (Away). We congregated at the clubhouse early Saturday morning for our latest club trip to the RDS Dublin. Kids and parents alike were all excited as we filled 3 coaches for the trip. In total 230 people travelled on the trip. The fun began shortly after entering the grounds as Johnny Sexton and Fergus McFadden popped out for a coffee and a photo with some of our group. Others also bumped into the ‘Tullow Tank’ Sean O’ Brien and Robbie Henshaw who were both obliging to our young fans for photos. Some ventured into the play zone to try their hand at rugby skills and on the bronco bull. Leinster No 24, Leo the Lion was on hand to meet some people too. In autograph alley we had the opportunity to meet and greet James Lowe, Caolin Doris and Dan Leavy no less for some photos and autographs. The game itself was one of the best of the season. Leinster pounded away at Toulouse and eventually Jack Conan got the first Try. Further tries from Dave Kearney, Cronin and Adam Byrne sealed a memorable win for the boys in blue. The day ran without a hitch from start to finish back at the club. Thanks to all who made the trip. The memories will live long in the minds of our minis and youth players. Hopefully we will get to do it again in the near future. Well done to Padraig Murphy and all involved in organising a fantastic trip. Trips like this are one of the big pluses of playing rugby in the club. Its not too later to in training at any age level and get on the next trip to the RDS or Landsdowne Road. The Sin Bin at Longford RFC serves great quality and value food on Wednesday, Thursday, Friday from 12-3 and 12-7 on Saturday and Sunday. Booking for events such as birthdays, christening, confirmations, communions, weddings and funerals are available. The Sin Bin also shows all Irish rugby/Leinster/Munster matches live. For bookings and information phone Kris on 0872872357.